Spinach and Wine: My little guy cooking at camp! Future chef possibly? 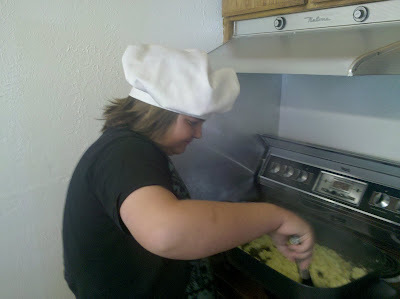 My little guy cooking at camp! Future chef possibly? We have such wonderful memories of Camp Shadow Pines in Heber AZ, cooking camp food was just part of the fun! SNOW SNOW SNOW Good times with friends and family!